Welcome to AlphaKIT for 2019. 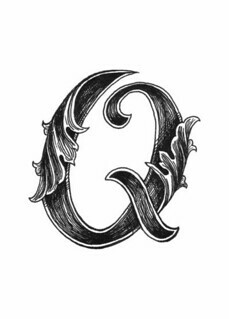 January AlphaKIT letters are : Q and A. The possibilities for Q are The Tiger Queens by Stephanie Thornton and Quo Vadis by Henryk Sienkiewicz. Lots of possibiities for A. I'll have to see how they fit in with other challenges. I'll be reading The Mystery of Three Quarters by Sophie Hancock, You Will Know Me by Megan Abbott, Captain Vorpatril's Alliance by Lois McMaster Bujold (finally entering previously unread territory after re-reading the Vorkosigan saga in 2018--yay!! ), and possibly Fascism: A Warning by Madeleine Albright. I don't think anything I'm planning for Jan (yet) has either of these letters, so I might have to do some digging. I also have The Art Forger (by B. A. Shapiro) on hand. I took a peek at the first chapter and it looks doable in January on the provision that I get caught up with the Solzhenitsyn tome! I'm hoping to get to Indigo Dying by Susan Wittig Albert and The Right Side by Spencer Quinn. I'm planning on listening to The Queen of Blood and reading Amberlough . I am reading Quiet by Susan Cain and The Accidental Apprentice by Vikas Swarup. I'm planning on reading Terra Nova by Shane Arbuthnott and Monster of God by David Quammen. I haven't made a firm choice yet but these are the books I'm considering: Queenpin by Megan Abbott, The Address by Fiona Davis, A Murder of Quality by John le Carré. Nobody's mentioned Anna Quindlen yet...she seems to be tailor-made for this KIT. ;-) I've been wanting to read Alternate Side but the reviews are disappointing. I'll see what else fits from my TBR. >11 beebeereads: - You're right - and I've got her book Lots of Candles, Plenty of Cake already on my TBR pile. I'll have to think about that. The book I really wanted to read for this was Q & A by Vikas Swarup, but my library doesn't have it. Sad! I may just have to buy it! >13 JayneCM: Whoa! I can see why! I am planning on reading American War by Omar El Akkad and The Alice Network by Kate Quinn. >15 DeltaQueen50: - I'm also planning on reading The Alice Network by Kate Quinn - it's perfect for this challenge. In addition, I would like to get to The Death of Achilles by Boris Akunin, The Appeal by John Grisham, and So Long, and Thanks for All the Fish by Douglas Adams. I use AlphaKit to pick Orange prize winners and shortlisted book by author name. I have an Ali Smith on reserve at the library. I've got three books in January that will hit A: All Together Dead, Still Alice and I'm Travelling Alone. I don't have anything for Q yet. Hooray! Just found a copy of Q & A at my favourite online bookshop - Brotherhood Books. So this will be my choice now. If you are in Australia, this is absolutely the best place for secondhand books. And it helps the Brotherhood of St Laurence - win, win! Does anyone else buy books here? I've done the Category Challenge since 2012, but never have tried any of the "extras" (CATs, KITs, DOGs). Not officially, anyway. So this is my first real attempt at the AlphaKIT. I've got a lot of ideas for January reads, but it's looking like it'll be either Murder in the Queen's Armes by Aaron Elkins, Agatha Raisin and the Quiche of Death by M.C. Beaton, or Quartet in Autumn by Barbara Pym (which would be a re-read). I do love the idea of finding one book that uses both letters for the month. Hope that's an OK thing to do? 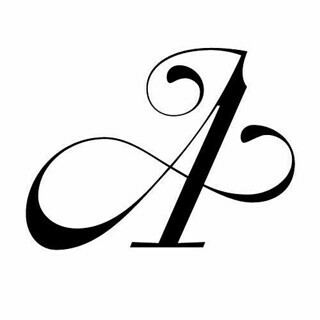 >22 jlshall: Once you achieved that, then you can start looking for both letters in author name and in title. I've only ever managed it once, when we had F and R as the letters and I read The Racing Factions by Robert Fabbri. >23 Tanya-dogearedcopy: Thanks -- good to know! >24 Robertgreaves: Wow! I never thought of that. I'll have to start making another list. >22 jlshall: That is why I choose Q & A for mine! >26 JayneCM: Yes, that one would be a perfect pick! I have thought of reading After the Quake for this one. Which would be both letters. I have The Aztecs by Richard F. Townsend on my shelf of TBR. Since there are no rules, I'm going to use The Keeper of Lost Causes by Jussi Adler-Olsen for both A and Q, since it's the first book of the Department Q series. I am planning to go with my Newbery Award list--Ramona Quimby, Age 8 and Whittington by Alan Armstrong. Question--How do I go about adding pictures to my messages? >31 LadyoftheLodge: I successfully added a picture for the first time yesterday! This is where I found out how to do it. Plus I learned how to add a link there as well! I've picked a re-read A Poisoned Season as I want to read the rest of the series for my #BeatTheBackList Challenge - however, Q is remaining elusive! Except then I saw it! The Queen of Water these are my selections! >31 LadyoftheLodge: I love the Ramona books, though I didn't discover them until I had children. They watched the TV series, which led us to the books. >32 JayneCM: Thanks so much for your help! >35 LadyoftheLodge: Hope it helped! I would never have been able to work out anything without it! I did it! posted a pic in my own challenge thread! >37 LadyoftheLodge: Yay! Love it! Which is your thread? I'm not sure if I have seen it? >38 JayneCM: It is LadyoftheLodge 5 CATS. I had great fun searching for and playing with the pictures and resizing them. I added Squirm, Blessings by Anna Quindlan and The Ice Cream Queen of Orchard Street to my January reading list. Imagined London by Anna Quindlen. It will probably come down to which one I can find first (Mount TBR has many hidden nooks and crannies that are unmapped!). The first book I've finished wasn't exactly in my plans for January, but does work for A: Chernobyl Prayer by Svetlana Alexievich. > 11 beebeereads Yes! I'm going to read her Black and Blue. I've had this book for quite awhile. My choices are Black and Blue by Anne Quinlan. I'm almost finished w/ The Outlander by Gil Adamson. I've already gotten two "A" books read this month, both written by Astrid Lindgren. > 23 Tanya-dogearedcopy & > 22 jlshall Now that would be a huge challenge to accomplish that! Extra points for sure! That's like a 3 pointer from the NBA line. I've read I'd Rather Be Reading by Anne Bogel. >49 Samqua: I am a bit of a nerd like that, so I am choosing either a book title or an author name each month that has both letters in it. That's just how I be! >46 Samqua: Black and Blue was my first Anna Quindlen read. I still think about it often and I read it in 2001! She is a compelling storyteller. Hope you like your choice. Starting Alternate Side tonight. Anyone else use an iPad to enter books in the Wiki? Would love input. The apostrophe key on my new iPad won’t type a straight apostrophe, but automatically turns it into either a right or left type apostrophe. I had to copy and paste someone else’s text to make the formatting work. And I can’t find a solution online. Argh. >55 fuzzi: I haven’t used my I-pad for awhile. Truth be told, I’ve gotten lazy about the wiki. I have a keyboard for my I pad and I think that is what I had to use. Just don’t remember. I try to use the computer for most things. Even the touchstones are difficult with the I pad. >56 Kristelh: I can do most anything with the iPad, but not “right mouse click” copying of image locations. What I am unable to complete with the iPad I do later on the laptop. Finished Americanah by Chimanda Ngozi Adichie for A (in title and last name of author). I enjoyed it. Read it for Reading 1001 GR BOTM. 3.833 stars. >55 fuzzi: Go to Settings > General > Keyboard and turn off Smart Punctuation. No more curly quotation marks. >59 NinieB: done, thank you! Artifice (The Silver Ships Book 12) (by S.H. Jucha) - Alex Racine has led his expeditionary force to the edges of Federacy space to confront Artifice, an omnipotent digital entity that poses an existential threat to the Omnians. This is the twelfth installment in Jucha's family-friendly space opera and has First Contact with not one, but no less than four "alien" species! In this story, there is a lot more action and less exposition, which makes sense since, if you've come this far into the series, you know everyone by now! BUT, the technology is a bit anachronistic, the aliens more than a little familiar for being "aliens", the logic behind one of Alex's major decisions a bit obtuse, and quite frankly, the climax was paradoxically, anticlimactic. That all said, for those following the Silver Ships overarching saga, it concludes the Nu'all story arc satisfactorily (even if we do see more of them in future stories,) and sets the stage for further adventures. A boy who has lived his entire life on a raft on a river which flows in a circle through a vast collection of underground caves accidentally finds a way out into the world and goes on a journey of discovery. This is easily the most philosophical Newbery Honor Book I've ever read; think Plato's Cave for middle grade readers. And you know? It works. Happily recommended. >62 scaifea: Now on my list! Thanks! For "Q," I'm starting Julia Quinn's What Happens in London. >63 JayneCM: Yay! I hope you love it! This does not bode well for the year..I am just now add my list of possible books for January. I finished a reread of Anne of Green Gables which works for this challenge. Hoping to get a few more read this month. I am reading The Queen’s Colonial by Peter Watt. It is the first book in a new series and was a Christmas gift from my husband. One more A book down - The Death of Achilles by Boris Akunin. I'm now reading Amber & Dusk by Lyra Selene for "A." Hitting both letters, I just finished Queenpin by Megan Abbott, a noir, hard-boiled novel with a feminine twist. Very enjoyable. Another A - Carbs & Cadavers by Ellery Adams. Lol, not sure why every book I pick up has an A, but it's really helping with this challenge. One more finished last night - The House of Broken Angels by Luis Alberto Urrea. He's definitely somebody I'd like to read more by. I've finished Indigo Dying by Susan Wittig Albert, number 11 in her China Bayles series. One of the better cozies I've read. Finished Terra Nova by Shane Arbuthnott--it was absolutely fabulous. MG Science Fiction/Fantasy, it's the follow-up to the author's debut novel, Dominion, which was also simply wonderful. Full reviews written for both. Forgot to report in that I finished my "Q" read: Quiet by Susan Cain. >80 LadyoftheLodge: The Caribbean sounds more enticing than the snow! Another A - So Long, And Thanks for All the Fish by Douglas Adams. I read Squeezed by Alissa Quart which has an A and Q together. It is fairly new, new to my library and there isn't many reviews of the book. I can't say I liked it much, another book on what is wrong with USA. I read Alif the Unseen which is a contemporary fantasy. >83 LittleTaiko: Oooh, good one! Finished How to be Both by Ali Smith. >81 thornton37814: The temperatures were between 77 and 80 degrees F. Sunny too. Then it was back to real life of delayed flights and slippery roads. . . . Finished Artificial Condition second in the Murderbot series. It is such a hoot! Finally got a Q book read, actually it's an A and a Q so that worked out well - The Alice Network by Kate Quinn. >93 LittleTaiko: I believe that's called a double-kit! Finished after the quake by Haruki Murakami. Both A & Q in title. Another A book for me: Still Alice by Lisa Genova. Finished Quantum Lens - by Richards. It was interesting, but I had issues with it. The members of the Soria family specialize in performing miracles, and pilgrims come to the Colorado desert from all over for their services. Lately, though, those pilgrims haven't been leaving, because they find the *second* miracle - which they must perform themselves to rid themselves of their personal darknesses (made flesh by the first miracle) - is not an easy thing to create. The Sorias themselves fear their own darknesses, and when the younger generation starts breaking the taboo of helping the pilgrims heal themselves, old fears and truths start coming out of the woodwork. I admit that I didn't fall in love with this one as right-from-the-first-page-immediately as I did with the Raven Boys books, but I got there eventually and I do love this story and its characters. 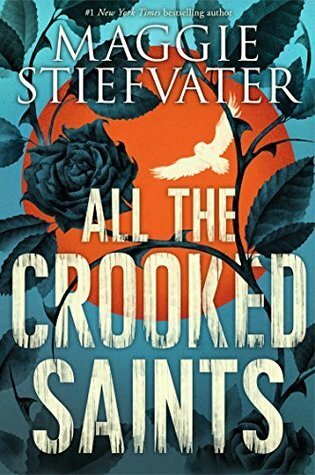 Stiefvater is fabulous at what she does (creating amazingly relatable and real characters nestled in a supernatural story that nevertheless seems totally plausible because why not?) and I'll be here for it every time. Looking at my Kindle, I have Goblin Quest by Jim C. Hines loaded, so I guess I'll read that next. COMPLETED The Ghost Riders of Ordebec (original title L'armée furieuse) by Fred Vargas (pen name of Frédérique Audoin-Rouzeau). Finished both of my books for this challenge! Ramona Quimby, Age 8 and Whittington by Alan Armstrong. Another A book: I'm Travelling Alone by Samuel Bjork. I have completed The Alice Network by Kate Quinn for my "Q" read. >103 fuzzi: I am trying to re-read all of them this year, since I have a boxed set of them that is brand new. Also maybe the Betsy-Tacy books--I read two of those recently. When Lily’s husband dies, Lily drives away from the big city in California and finds herself on a small island on the Pacific Coast. She falls in love with a cottage that she buys and decides to turn into a business: she sells vintage clothing. A white cat happens by and makes herself at home with Lily and Lily decides to keep her as a shop cat while she tries to make a go of her new business. This was good. Simple and quick to read, but enjoyable. No surprise that I loved the cat! Chapters alternated between Lily’s point of view and the cat’s. I have to comment on the well-chosen cover with a cat that actually matches the description of the cat in the book, right down to the two different-coloured eyes: green and blue. Ended up with a couple more A's, The House of Silk by Anthony Horowitz and The Appeal by John Grisham. >106 LadyoftheLodge: both of those series are delightful. Finished The Great God Pan by Arthur Machen. I finally completed my Q book: The Sunburnt Queen, about an 18th century European girl named Bessie who is castaway on the southeast coast of South Africa and marries a prince. No, this is not fiction! The first half was better than the second but an overall great read. I have completed my A book. I read Death in the Blue Lake by André Bjerke. I unintentionally ended up reading a few more Q and A books this month! For Q, Worth the Fall by Bria Quinlan. For A, Death of Anton by Alan Melville. And Red Queen by Victoria Aveyard works for both! A third A book for January: All Together Dead by Charlaine Harris. I got my "Q" book finished, Double or Quit by Joyce Stranger! Read The Death of Achilles by boris Akunin with 2 A's. Few more A's for the month. I forgot to post here that I finished my "Q" book - The Right Side by Spencer Quinn, one of his books that is not part of his Chet and Bernie series. It’s the late 19th century. A psychologist (aka “alienist”), a reporter, a secretary for the police (who wants to be an officer herself), and two detectives interested in pursuing new methods of solving crimes work together to find a serial killer – someone who’s been murdering young boy prostitutes. The psychologist is interested in profiling, something that’s not really been done before. Overall, I’m rating this ok. It was slow moving, though it picked up somewhat in the last third to quarter of the book. There were times I found it a bit hard to follow, as sometimes a character’s first name, and sometimes their last name was used. I didn’t like the end, but I did enjoy reading about the beginning of profiling and “new” techniques of solving crimes – things like fingerprinting, photographing the imprint of last seen image on the victim’s eye, etc. Honor is taken in, as a ward, by Sir Thomas More during Henry VIII’s reign in the 16th century. At this time, Henry is trying to find a way to get rid of his first wife Catherine, so he can marry Anne Boleyn. When Honor is old enough, she goes to Catherine and serves her. But, she gets caught up in the religious conflicts going on at the time, and things become dangerous. It was ok, but I just lost interest at times (this was not an audio!). Some of it held my interest, but there were too many dry patches for my liking. The historical note at the end was nice. Obviously, Honor was fictional, as were her close friends, etc. >125 LibraryCin:, I think I liked it a bit more than you but I did do the audio as well as had the book. Audios help sometimes with books that might seem to be slow when reading. Anyway, Q stands for "queer/questioning" and A for "asexual" so I read books with such characters. Queer: The Seafarer's Kiss by Julia Ember (completed). The main character and her love interest do not self-identify as queer but I would say they are (it isn't that they don't like the word queer, they are just in a fantasy/historical setting that does not use any such modern words). Asexual: Antisocial by Heidi Cullinan. I just got this one and might not finish by the end of the month, since it is nearly 600 pages and I have to go to classes (and have other things to read for the classes). But I will read probably at least half of it and finish in February. It has a character on the asexual/graysexual spectrum. >125 LibraryCin: >127 Kristelh: It's been maybe 10 years since I read The Alienist, but I know I enjoyed it a lot. I frequently dislike historical mysteries due to anachronisms, but that was not an issue for me. I also liked the sequel, The Angel of Darkness. However, I really disliked The Italian Secretary, which is a Sherlock Holmes/paranormal mashup, enough that I haven't tried to read anything else by Carr. >129 NinieB: I've always thought it odd that, although historical fiction is one of my favourite genres, and I usually quite enjoy mysteries, I'm not always a fan of historical mysteries (unless it's true crime, some of those really grip me!). >132 LibraryCin: I am a historical fiction fan and a mystery fan too! But somehow the demands of the two genres seem to conflict. >132 LibraryCin: >133 NinieB: I think it depends on the period and how much research the author is prepared to put in. It is definitely more difficult than writing either genre straight. I was able to finish two more A books: Death of a Nightingale by Lene Kaaberbol & Agnete Friis and Abundance by Sena Jeter Naslund. And I was able to manage only one Q, Quicksand by Nella Larsen. >134 Robertgreaves: That makes sense. >128 amaranthe: What a great idea! >128 amaranthe: I like it too! I'm behind on reviews, but the last book I finished in January was Arcade by Erica Hunt. To the person who added my reads to the Wiki: thank you. I finished Kane and Abel by Jeffrey Archer today. It was a very complicated book but a good read. It gets a 5 star rating from me.